Work from anywhere is the new age mantra. Why not when the modern world has become a small place with big wonders? You can connect to anywhere from anywhere with the latest communication tools. That’s why employees prefer to work from home or start a business from home to avoid hustle bustle office environment. You are an entrepreneur; Wow sounds excellent to hear. You are unquestionable and are your own boss. All good and fall in place. However, very soon you will realize that you are losing control of the office and work. Both put in place are tough to handle. This is where you have to draw a fine line between the two. Visit https://minutehack.com/guides/maintaining-your-privacy-when-running-a-business-from-home to know how you manage petty official things with ease. Do not club office and residential address: This is the first step you should take to separate two entities -work and home. You may want to give your home address for correspondence since you are mostly working from home. However, it is not a fair idea to make your residential address publicized in the name of the office. It doesn’t stop here. If any business correspondents want to visit on official work, they might drop in personally to your residential address. That is not a welcoming sign at all. So, provide a forwarding address. Let your office and Home phone number be separate:You may feel that using the same phone for personal and official use is fine and avoids a lot of financial burdens. While it is true that it might give you some financial relief by avoiding extra bills and phone insurance, the amount of a headache that it brings is worth paying for a new phone and policy. Moreover, you will be indirectly inviting prank calls and messages which disturb you in your personal time. Whereas, if you have a personal phone, you can switch off or divert them to voicemails. This can be attended later once you are ready for official work again. Also, there will not be any chance of personal information being shared or leaked. 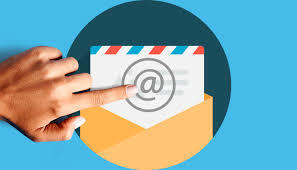 Create a separate e-mail ID:As you might have guessed it by now, the same rule is to be followed with your e-mail ID. Well, the same problem persists if you use personal e-mail ID for official use. All sorts of business information should be transferred to the official e-mail ID. You get a lot of spam e-mails, marketing, and commercial e-mails. It will be difficult to search for essential e-mails from the heap of unnecessary emails. So, keep them separate.